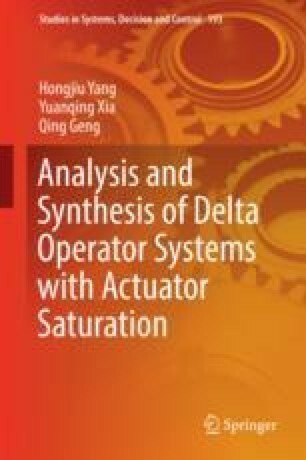 T-S fuzzy models with actuator saturation and norm-bounded uncertainties have been used to describe nonlinear systems subject to actuator saturation in . An overhead crane model has been described by a class of T-S fuzzy systems with input delays and actuator saturation in . An anti-windup fuzzy control approach for uncertain nonlinear time-delay systems with actuator saturation has been presented in .